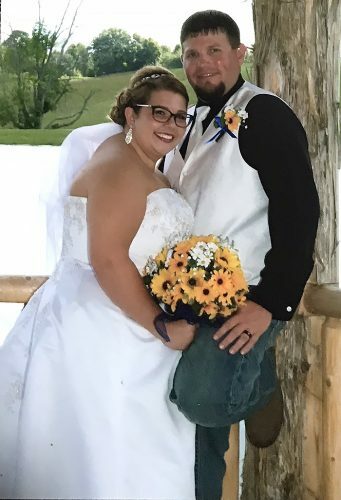 STEUBENVLLE – Betsy Jo Juresko and Ryan Jaymes Salyer were united in marriage on July 13 at Kolmont Community Church in Mingo Junction, with the Rev. Sam Retzer officiating. 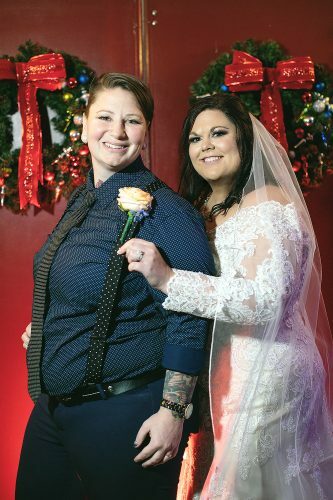 The bride is the daughter of Bob and Debbie Juresko of Steubenville. The groom is the son of Kevin and Tina Salyer of LaGrange, Ohio. The bride was escorted to the altar by her father. She wore a fitted A-line gown with a scooped neckline, satin accents and Swarovski crystals. She carried a bouquet of white roses, daisies, hydrangeas and calla lilies. Rafe Lopez and John Grasse served as best men. Groomsmen were Bryan Yeo, Joey Whalen, Steven Lopez, Cole Salyer, Ben Smith and Corey Dean. Jackson Yoder was ring bearer. 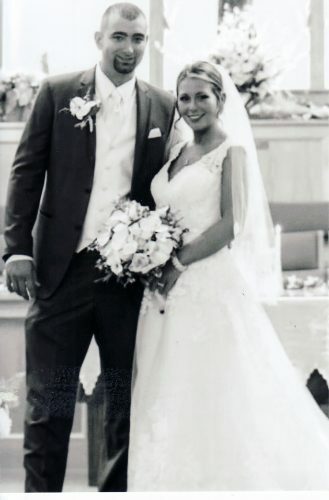 Following a reception at Mingo Knights of Columbus, the couple honeymooned in Riviera Maya, Mexico. 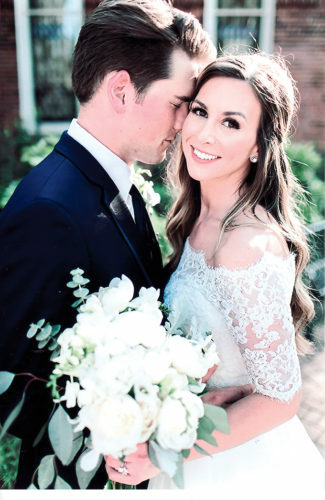 The bride is a 2005 graduate of Indian Creek High School and a 2009 graduate of Ohio State University with a bachelor of science degree in early childhood education. She received a master’s degree in early childhood education from Mount Vernon Nazarene University in 2011. She is employed as a teacher by Newark City Schools. 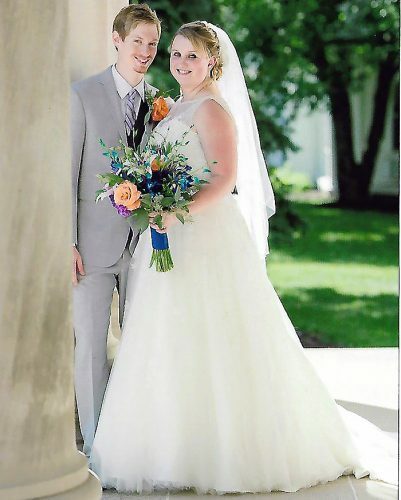 The groom is a 2007 graduate of Keystone High School and a 2012 graduate of Capital University with a bachelor’s of science degree in commercial music technology. He is employed at THK in Newark, Ohio. The couple reside in Newark.